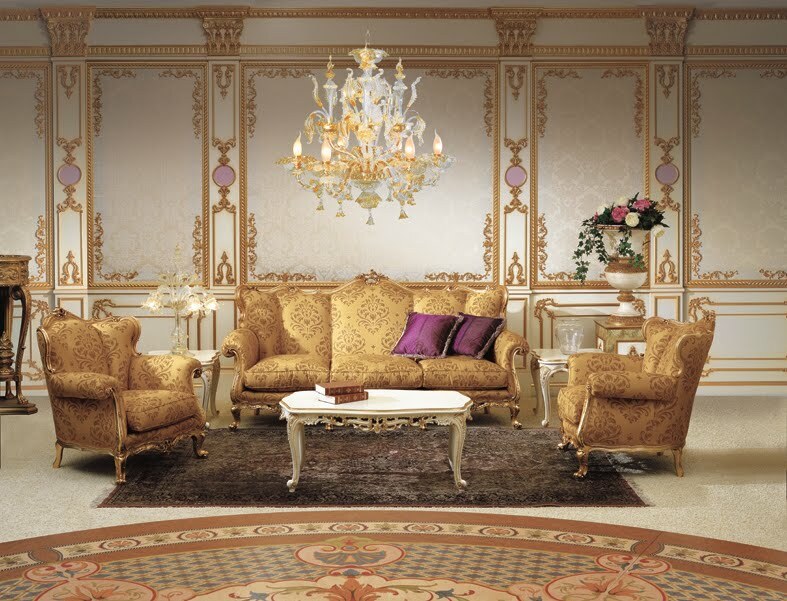 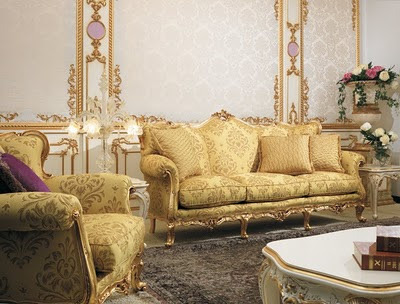 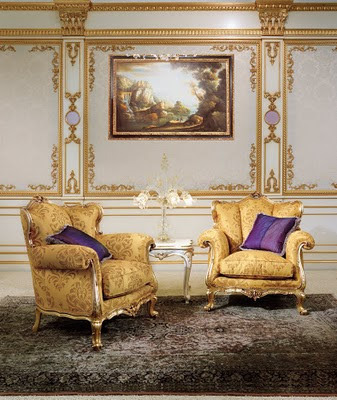 All the elements of the classical sofa set are finely hand - carved our from solid wood and set decorations of supreme perfection. 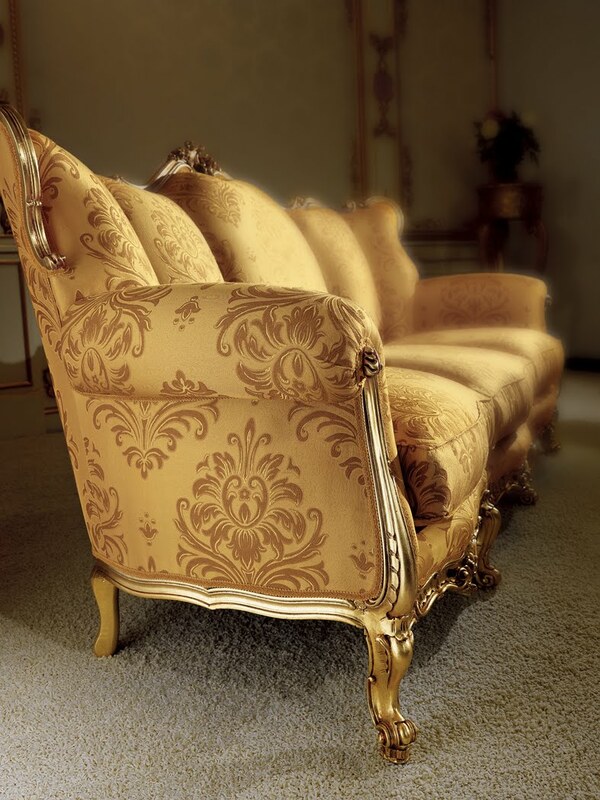 The Elaborate profiles with antiqued gold foil finishing elegantly frame the damask silks and gives the feeling of the Baroque classical style see also entrance baroque style , while the small table with Rosa Portagallo marble completes the charming of this model. 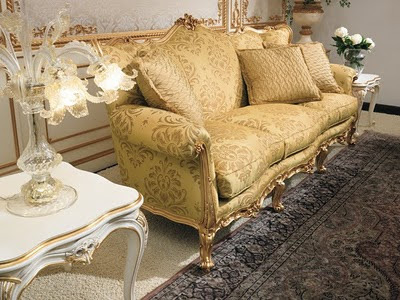 Where do I buy this set?